Sonication is widely used for chemical and biochemical reactions. Hielscher supplies standardized ground joint adapters to insert the ultrasonic sonotrode into reaction vessels such as round-bottom flasks, multi-neck flasks and other lab glass ware. For a sophisticated setup of an extraction, Soxhlet, Clevenger or chemical reaction apparatus it is often necessary to couple ultrasound into a glass reactor. Sonication intensifies and speeds-up extraction processes and chemical reactions resulting in higher yield, better quality and reduced processing time. For an ultrasonic extraction setup, e.g. 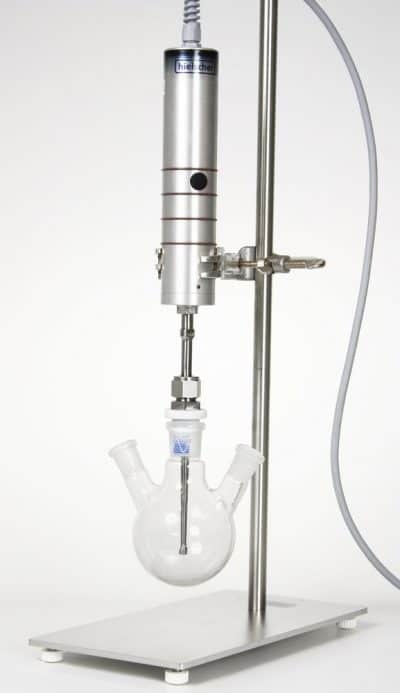 Soxhlet or Clevenger, the ultrasonic processor can be attached to the side neck of the flask. The middle neck is used for the siphoning column. Additional necks of the flask could be used for a mechanical stirrer or thermometer or be used for a funnel to to let reactants drip in. Hielscher Ultrasonics’ supplies powerful and efficient ultrasonic devices for lab and industry. Our ultrasonic devices are used for manifold applications such as homogenization, dispersion, emulsification, extraction, lysis & disintegration, sonochemical reactions such as sono-synthesis and sono-catalysis. Hielscher Ultrasonics would be glad to help you to setup your optimal setup for your extraction or chemical reaction. Please contact us and let us know about your requirements! Ground glass joints are used a common tool to fit and connect leak-tight apparatuses in laboratories together. 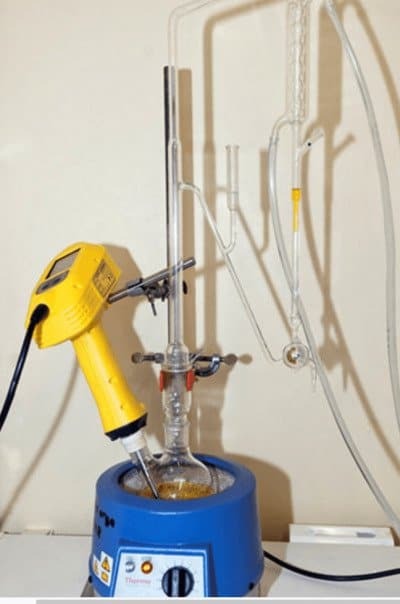 R round bottom flasks, Liebig condensers, and an ultrasonic homogenizer can be safe and easily fitted using ground glass joints, e.g to extract substances from plant material or to reflux a reaction mixture. Round-bottomed flasks (also known as round bottom or R B Flasks) are types of (glass) flasks with spherical bottoms which are commonly used as laboratory glassware, e.g. for chemical or biochemical reactions. They are manufactured of glass for its chemical inertness (e.g. heat-resistant borosilicate glass). There is at least one tubular section known as the neck with an opening. Two-, three- and multi-necked flasks are common as well. Round-bottom flasks are available in various sizes, from 5mL up to 20L. 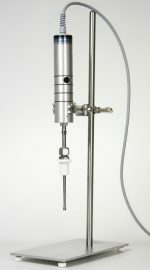 In industrial applications, even larger customized flasks are implemented. The ends of the necks are usually conical (female) ground glass joints. These are standardized, and can be connected with appropriate tapered (male) fittings. Standard Taper 24/40 is common for 250 mL or larger flasks, while smaller sizes such as 14 or 19 are used for smaller flasks. Because of the round bottom, cork rings are needed to keep the round bottom flasks upright. When in use, round-bottom flasks are commonly held at the neck by clamps on a stand. Similarly cooling can be accomplished by partial submerging into a cooling bath, filled with e.g. cold water, ice, eutectic mixtures, dry ice/solvent mixtures, or liquid nitrogen.